13.1 miles later I finished my half marathon! 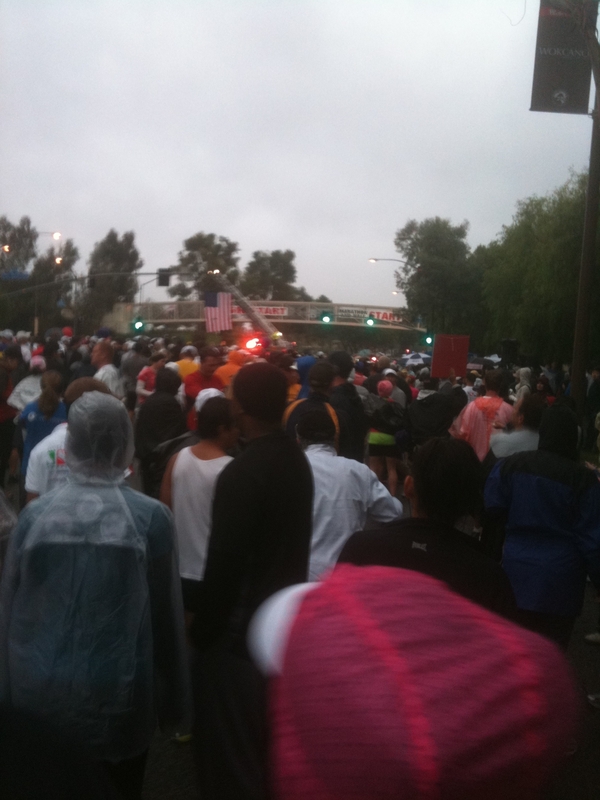 I ran the Santa Clarita half marathon on Sunday, November 6th. 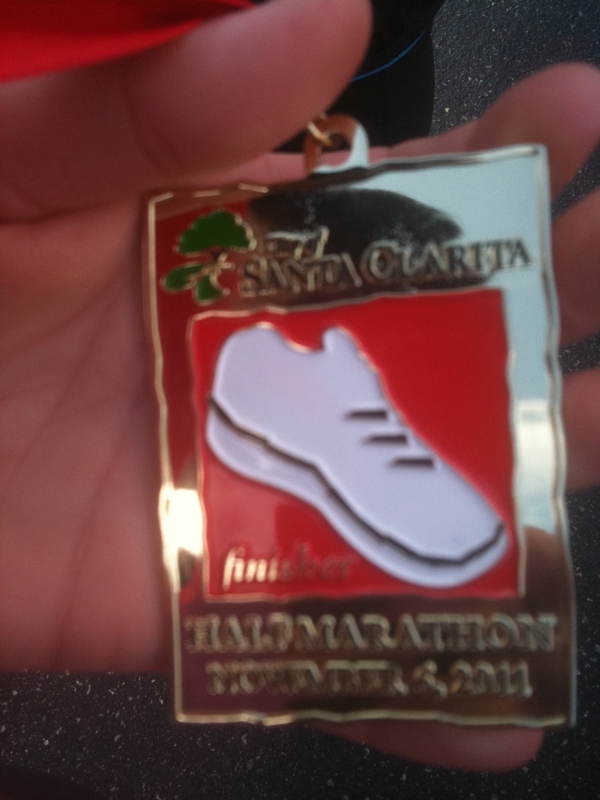 My official time was – 2 hours and 31 minutes. Not too bad for my first race post-baby! It was a cold and rainy Sunday morning in November but I was prepared after months of training. I had all my gear on and I was ready to hit the streets of Santa Clarita. It was a relatively flat course and most of the race took place on paseos which are trails (not streets) in the community. I actually ended up racing with my Mom who didn’t train with me but she is a natural athlete who does primarily triathlons these days so she was able to catch up in her miles and race it with me. I took a few pictures before and after the race with my gear. It was actually a very emotional moment for me to cross the finish line because I remember just a few years ago I wasn’t able to run without awful pain in my hips and knees. I finished strong but hope to beat my time on my next race. For those of you who have ran distance, you know that there is nothing like a ‘runners high’. I felt amazing that whole day in spirit but by the end of the night I was feeling it in my legs and I could barely walk up and down the stairs in my house. I will take the next few days to do some walking and recover before I begin running again next week. 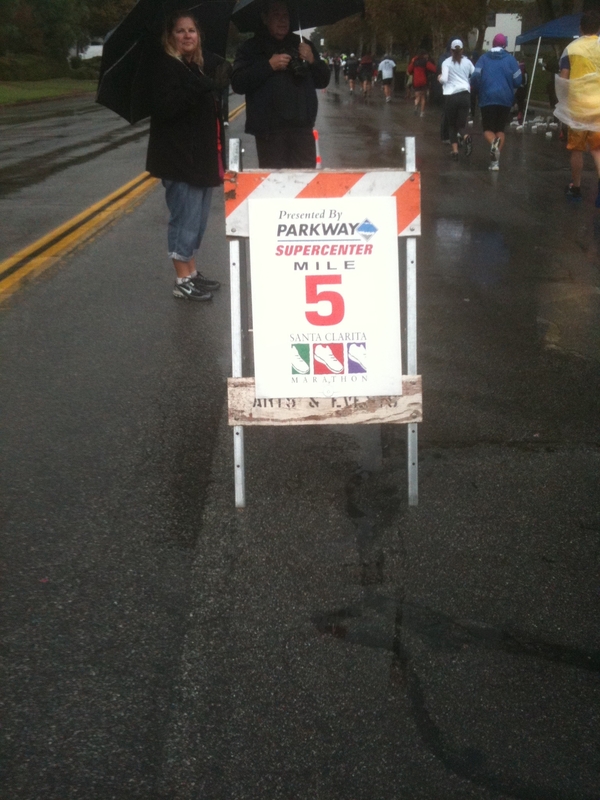 Mile 5... and still raining! 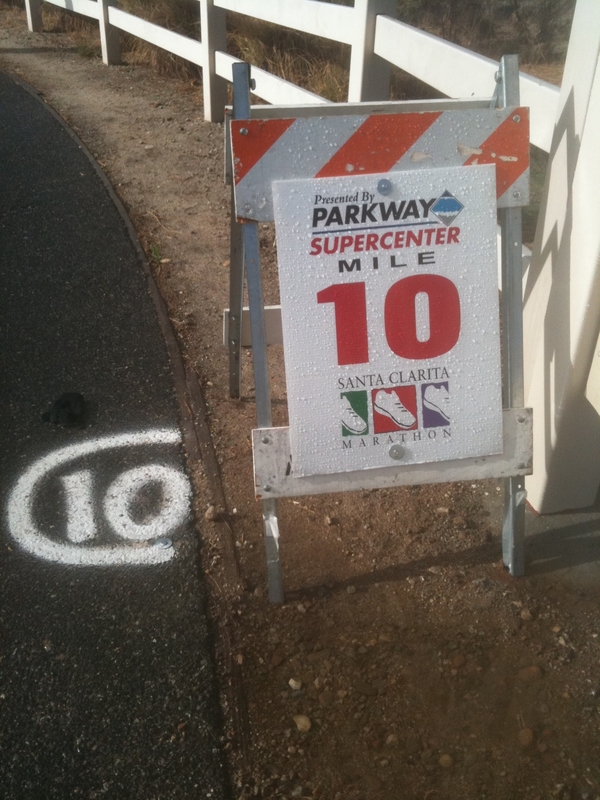 Mile 10... And we have sun! 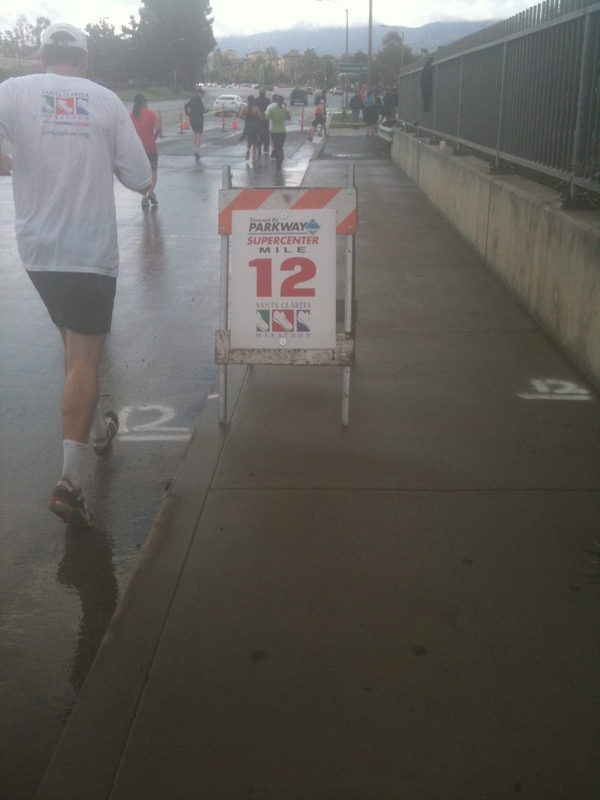 Mile 12... 1.1 to go! Mid-week I would do 1-2 training runs that varied between 2 and 3 miles each.